The last week of November is always exciting for buyers and sellers. As buyers, this the time of year when we should purchase everything that we need for the next one year. Because this is the week of Black Friday & Cyber Monday. That means you will get a maximum possible discount on many products available online. Taking this time as an opportunity to thank you and other Shouters who have been a part of this journey, on December 1 we are celebrating our 9th anniversary and to share this joy with you, we are running a week-long discount. I have created a special landing page for you to find all the exciting deals & discounts on popular products. Even though I have listed all popular Black Friday deals, it would be incomplete if we didn’t offer discounts on our own products! 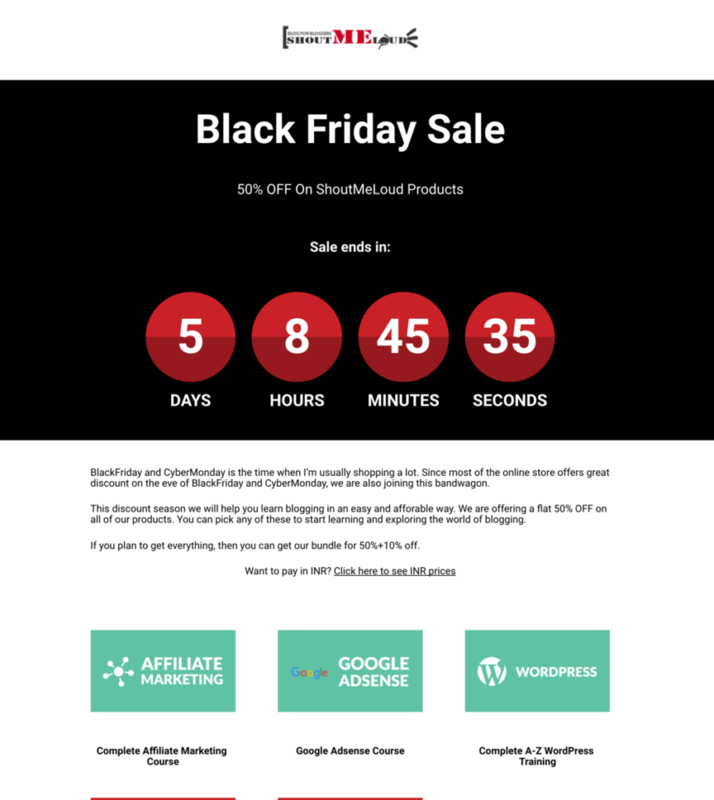 I would suggest you first read our ShoutUniversity deal and then read the ShoutMeLoud store deal. This year we are doing something unique with ShoutUniversity. We are giving away the complete package for only $78 (Payment via PayPal, Stripe, or Instamojo)… but with a twist. 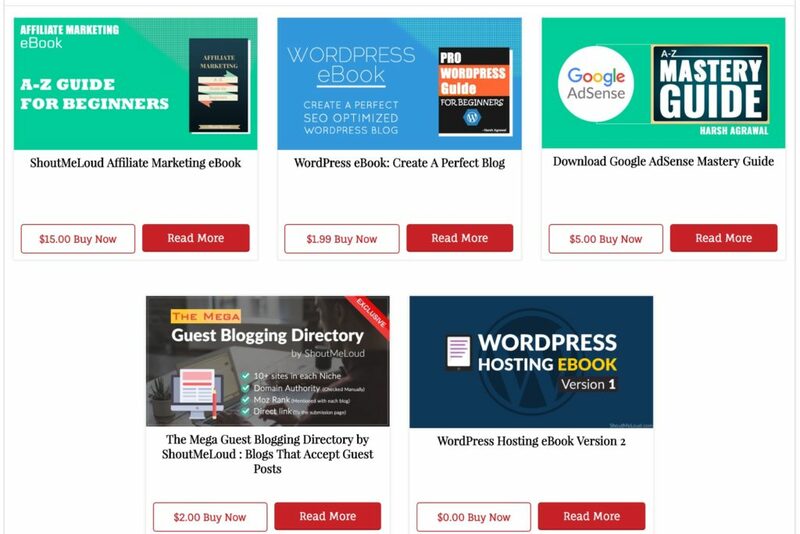 If you buy ShoutUniversity right now, you will get all of our ShoutMeLoud blogging products as a bonus. Yeah! You heard that right. This is our second Black Friday sale, and I want it to be as good as it possible for our valued readers like you. But if you don’t want to purchase everything, you can get 50% off and the price has been updated on the site. This is another unique opportunity that will only last for a limited time. Note: If you are buying the Affiliate Marketing eBook from Instamojo (for Indian residents), use this direct link for a 50% discount. Hurry up! You only have a limited time to take advantage of this offer! Don’t forget to share this post and let your friends know about this deal!